Everybody loves a good mystery. The only problem with great thrillers is that they are hard to find and far between. 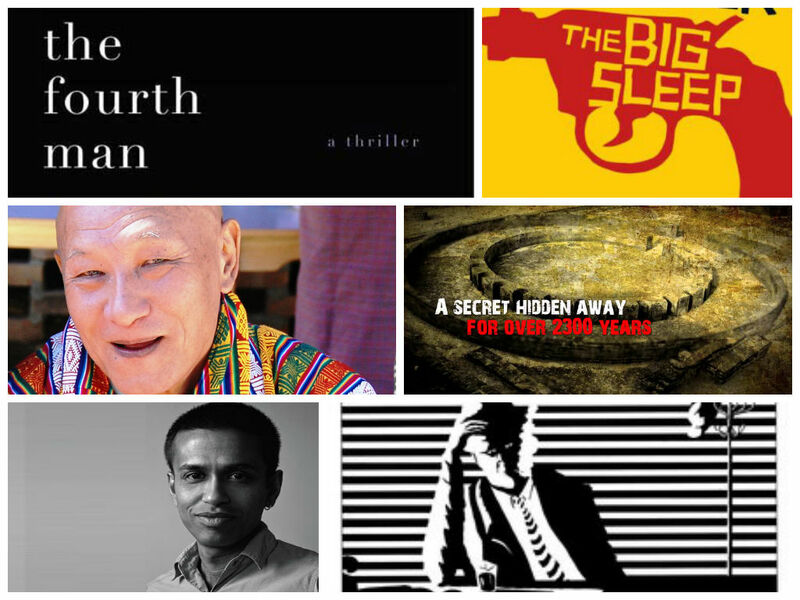 If you are a fan of the good old noir days of Big Sleep and The Maltese Falcon, the time has come to head to the Bhutan Literary Fest – Usha Presents Mountain Echoes 2014. Not one, two but…guess how many detective fiction writers are going to be there? You could be forgiven for thinking that Frølich and Gunnarstranda, are distant cousins of Guildenstern and Rosencrantz. To begin with they don’t go around saying stuff like “Thou-how” or “here comes Hamlet, talking total crap, as usual.” They happen to be two iconic figures from Norway and completely fictional. Created by author Kjell Ola Dahl, Frølich and Gunnarstranda are the two protagonist detectives who appear in 5 of his mystery novels. You probably haven’t heard of them because not all of Dahl’s work has been translated into English, but the ones that have been are gritty page-turners. If you love detective fiction and police procedural drama, Dahl is reason enough to head to Bhutan. Both the authors will be in conversation with Somnath Batabyal talking about “Dark Night of Crime” (Hold on Batman fans). Batabyal a long time journalist is the author of The Price you pay – a kidnapping thriller which follows the adventures of a young crime journalist in turn-of-the-millennium Delhi. Apparently Batabyal “looks likely to do for India what Raymond Chandler did for LA,” and that’s coming from William Dalrymple. Then there is Karma Tenzin ‘Yongba’, for those outside Bhutan who may know Yongba simply as a detective fiction writer will be surprised to find out that he also founded and once headed the Crime and Special Branch of the Royal Bhutan Police! Fancy hearing where real police procedures meet witty down-on-luck Private Eyes? Chorus Please.